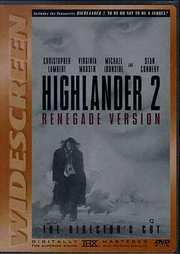 Prepare to experience a totally new incarnation of one of the most spectacular cinematic adventures... in the Director`s Cut, Highlander 2: Renegade Version. This is the re-edited, completely restored saga of the continuing exploits of immortal Connor MacLeod (Lambert) and his swashbuckling mentor Juan Sanchez Villa-Lobos Ramirez (Connery). Whether you`re a die-hard Highlander fan, or a newcomer to the incredible universe of the Immortals, prepare to discover what millions have discovered before you: "There can be only one!" 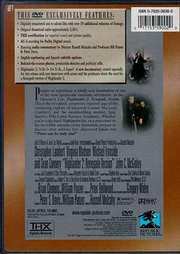 Featurette: Highlander 2: To Be Or Not To Be A Sequel?